If you’re about to decide your kids’ future don’t make hasty decisions! We’ve got your 2019 school guide to guide you through the location, services, application and all the details you need to know about the school you are about to apply to. Overview: El Alsson British and American International School was established in 1982. 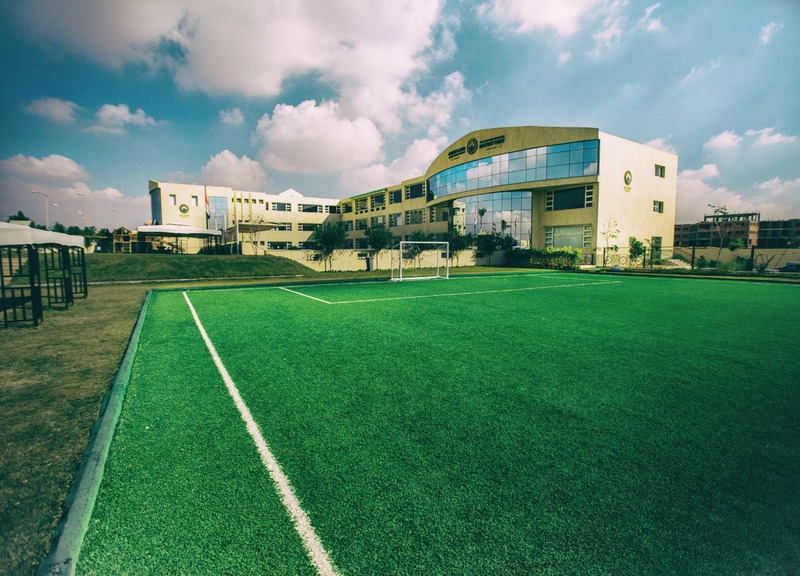 The school prides itself on being one of the best International schools in Cairo, and after 37 years enjoys a reputation for successful quality education and dedicated customer care. The school moved to its new state-of-the-art campus in NEWGIZA on a spacious 14 feddan site last year. Dates for Open Days and submitting applications: February 11th, the presentation and school tour runs at 10 am sharp. Parents wishing to apply are encouraged to fill an online application found under Admission on the website, and must submit the following to the Registrar’s office: child’s original birth certificate, 4 recent passport photos of applicant child, copies of both parents’ IDs, and the latest school or nursery report (if available). What an assessment test includes: Children applying for the British FS1 and FS2, or the American Pre-School and Pre-K will undergo an assessment that measures their developmental age against their chronological age. 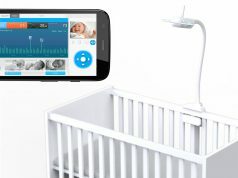 Tasks involve a series of familiar activities through which trained staff are able to assess the child’s physical, cognitive, verbal and social skills. Since relocating to the new campus at NEWGIZA, the school is ready to accept students at almost all levels of schooling. Students wishing to transfer to any higher year group or grade level will be assessed in English and Maths. School sections: El Alsson British and American International School was established in 1982. The school offers a British section from Foundation Stage 1 (3 years old) to GCSE with a Sixth Form for AS and A-Level (18 years old) and an American section, Pre S to G12 with an option of taking AP courses. Accreditation and examinations: El Alsson School is accredited by BSO (British Schools Overseas), BSME (British Schools in the Middle East), Accredited by NCA CASI , SACS-CASI, NWAC Accreditation Divisions of AdvancED. It is also an Authorized College Board Advanced Placement exam provider. Facilities and staff trained for dealing with special-needs children: El Alsson has Learning Support Departments in both schools, which cater to children who need general academic support. 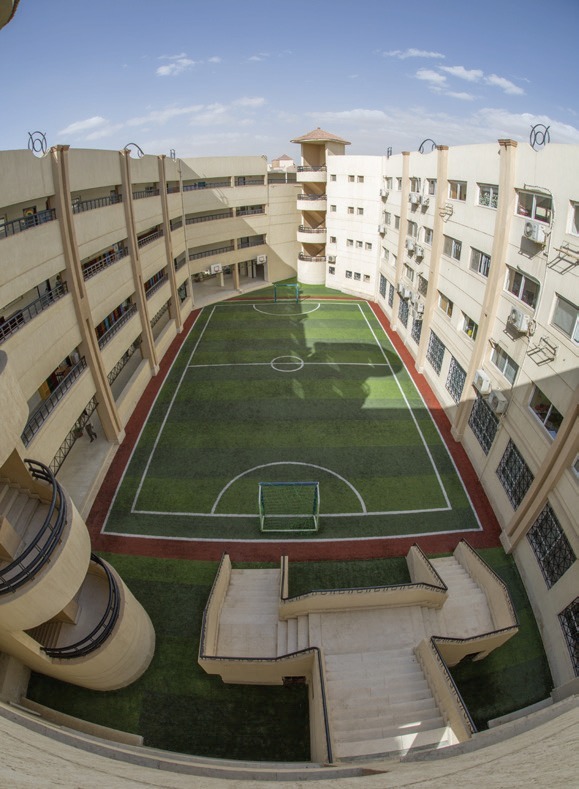 Facilities and extracurricular activities: Having moved to its newly established campus at NEWGIZA in 2017, the school now occupies a 14-feddan site with British Primary and Secondary joined buildings as well as American Elementary and Senior joined buildings. It also has a standalone Performing Arts Hall featuring a radio room, music practice rooms, drama studios and a state-of-the-art theatre along with a standalone Sports Hall featuring two heated indoor pools, basketball courts, a fitness gym and dance studio. The school runs a variety of extra-curricular activities each term for all grades and year groups. Overview: The British School of Egypt (BSE) is an exclusive co-educational school implementing the National Curriculum of England, providing quality education for over a decade. At the BSE, the staff recognizes that your child is a unique individual with different capabilities and needs. The school fosters an exciting and stimulating learning environment that challenges thinking, understanding and creativity for each and every pupil. The team of inspirational educators is committed to developing a passion and thirst for knowledge in each child. ‘Crossing the boundaries of excellence’ is the vision the school instills in each and every BSEian. Dates for Open Days and submitting applications: The school is currently accepting applications from Pre FS to Year 12. The upcoming Open Mornings will take place on Tuesday 19th of February and Tuesday 19th of March, from 9 am to 11 am. What an assessment test includes: For Early Years and Foundation Stage, prospective pupils are observed. Year 1 to Year 12 prospective pupils undergo an English and Maths Proficiency UK Entry Assessment. Languages: The language of instruction at the BSE is English. Other languages taught at the school are Arabic and French. Accreditation and examinations: The BSE is accredited through The Council of British International Schools (COBIS). The graduating qualifications are IGCSE’s and A-Levels. The BSE is also officially registered and accredited by Cambridge and Edexcel examination boards. Facilities and extracurricular activities: The campus is located in the heart of Sheikh Zayed. The BSE provides an extensive sports and arts program supported by a state-of-the-art campus, consisting of an indoor swimming pool, a state-of-the-art theatre, football fields, a gym, basketball, tennis and volleyball courts, and I.T/ Science labs. The BSE holds both summer and winter camps conducted by Wellspring. Overview: EIS is an international school established in 2015 offering a first-class British education. It aims to offer future generations a holistic education that provides development opportunities, intellectual exposure and varied experiences while maintaining and supporting healthy social norms. EIS aspires is to be a vibrant educational institution aspiring to develop ethical individuals who are knowledgeable and skilful with deep-rooted identity. Dates for Open Days and submitting applications: February dates to be announced. School sections: Preschool, Foundation stage, Year 1 to Year 9. Languages: Languages of instruction are English and Arabic. Arabic Social Studies and Religion are taught in Arabic. French and German are second languages. Accreditation and examinations: The school delivers the UK National Curriculum program accredited from Cambridge International Examinations (CIE). EIS is a British Council attached school. Facilities and extracurricular activities: Once completed, the campus will contain a total of 70 classrooms with a maximum of 25 students per class. Additionally, the school campus will offer a swimming pool, a squash court, a football court and a multi-purpose basketball court. Apart from the classrooms, the campus holds a library, computer labs, music rooms and art rooms. 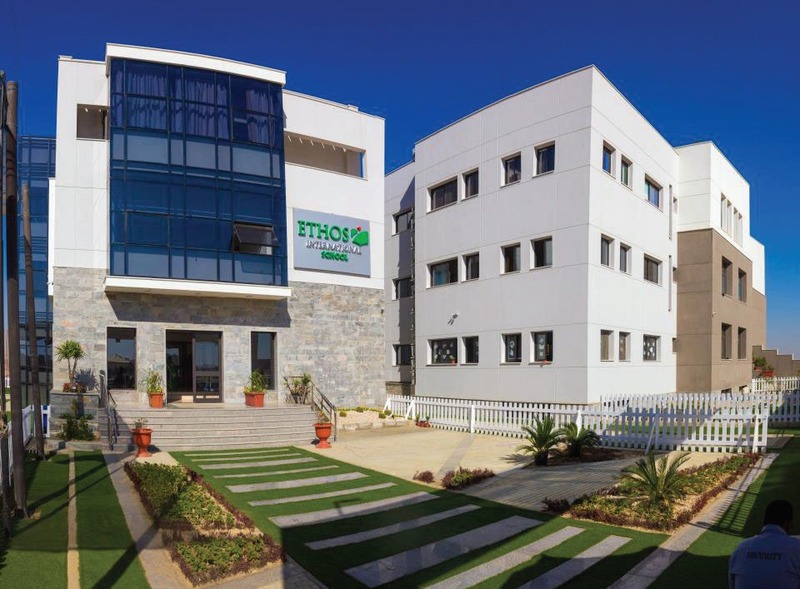 Ethos Academy – a separate entity under the umbrella of EIS – provides a unique experience for after school activities and summer camps in an ethical environment where cooperation and sportsmanship play the biggest role in bringing students together. 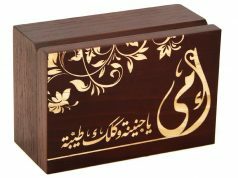 Activities include engineering, Quran, science, music, art and much more. Overview: Evolution combines the very best of traditional and progressive education systems from around the world. The Early Years classes follow the internationally famous Montessori system which not only gives young learners the basic skills they need for success in grade school but also the organization, responsibility and character that will guide them for the rest of their lives. 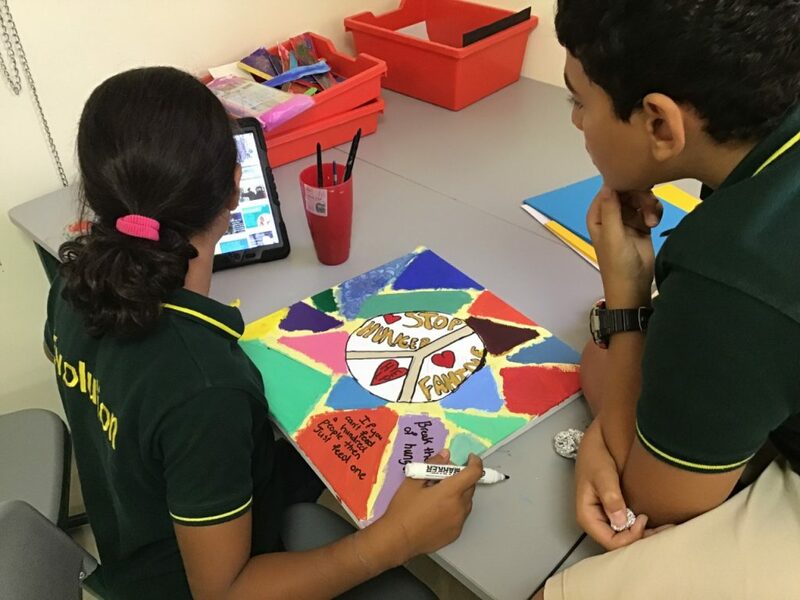 In primary and middle school (grades 1 to 8) students follow a thematic curriculum which aims to integrate all aspects of their studies. Teaching is rich in content but students are also expected to learn the knowledge and apply it to practical situations. The system at Evolution is designed to motivate students by creating learning opportunities in a context that inspires students to learn. 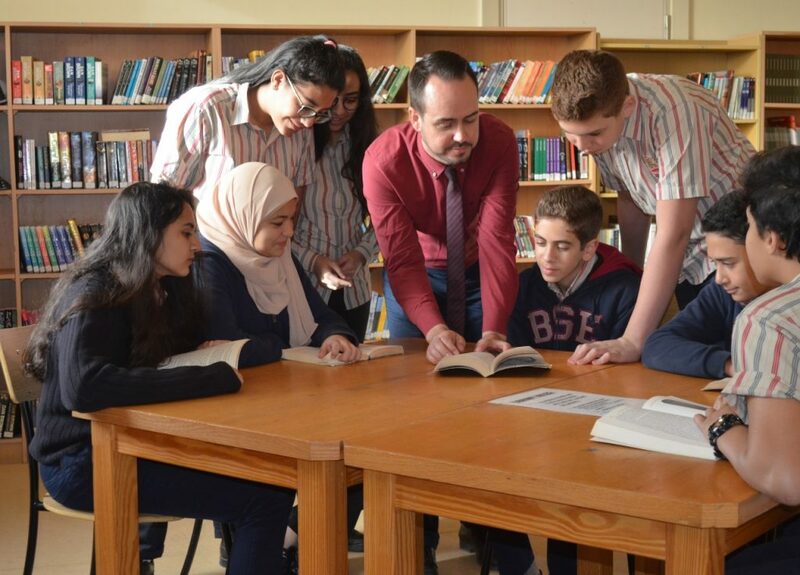 Dates for Open Days and submitting applications: The following open days are available for prospective parents who would like to listen to the school director and tour the current facilities: Monday, March 4th Sunday, April 7th Monday, May 13th The school is currently accepting applications for KG1 to grade 9. What an assessment test includes: The school uses the Cognitive Abilities Test (CAT4) on entry for grades 2 and higher. All primary students will take the Interactive Computer Assessment System (InCAS) from Durham University, UK, each year to give the school an external benchmark. In grades 9 and 10 the students take the International GCSEs and in grade 12 the school offers the IB Diploma, which provides excellent preparation for university at home and abroad. Accreditation and examinations: The school has started the lengthy process of accreditation with the Council of International Schools, one of the leading world accreditation organizations. Evolution also aims to be the first fully accredited Montessori (AMI) school in Egypt. The school has applied for IB Diploma authorization. Extracurricular activities: Together with all the traditional subjects, the school offers French, drama, robotics and coding and has an extensive co-curricular club program run within the school day. Students can choose clubs from sports, cooking, gardening, games, arts and crafts. Overview: Green Land – Pré Vert International Schools (GPIS Egypt), a member of Green Land Educational Foundation (GEF Egypt), was founded in 1994 in Giza. Today GPIS operates as a bilingual (French and English) educational system in four campuses located in Giza and Sheikh Zayed. 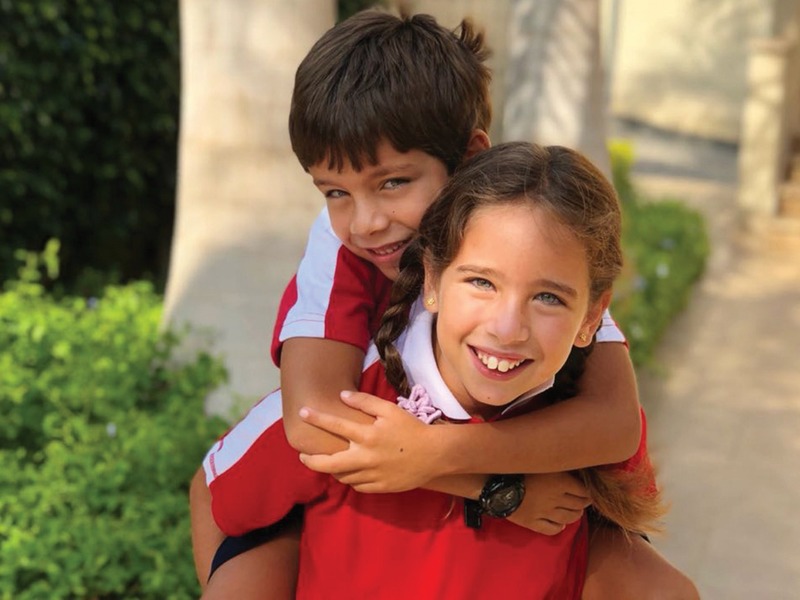 Since 2005, GPIS has been the only IB world school in Egypt authorized to offer all three IB programs in French and English: IBPYP (Primary Years program), IBMYP (Middle Years program) and IBDP (Diploma program). GPIS has been granted several awards from well-recognized international bodies: The International Gold Star for Quality from BID in Spain in 2002, followed by the Robert Blackburn Award by the IBO in 2007 for best Community and Services project in Africa, Europe and the Middle East. In addition to the above, GPIS is the only school in Egypt to hold four quality assurance certificates ISO 9001 since 1997 until the latest update BS EN ISO 9001:2015 from the British Standard Institution BSi- UK. Dates for Open Days and submitting applications: Parents are welcome on campus to tour the school and fill in applications. Orientation days are announced on the school website. Admission assessment: All prospective students are assessed for entry in accordance with the admission requirements of the school and the criteria relevant to the particular year group for which they are applying. Admission assessment includes an interview with the student, written and oral language assessments, and Arabic language assessment (not required for foreigners). Early Years students are assessed through careful observation, the student’s ability to listen and carry out instructions, concentration span, as well as social and communication skills are noted. Cultural awareness and extracurricular activities: GPIS takes pride in its extracurricular program. The program is designed to meet the physical, social and mental needs of children and teenagers. Students also take part in the Model United Nations (MUN). Scaffolding the IB program, GPIS encourages students to participate in service-based activities where they engage in numerous service and action activities, field trips, international trips, and social exchanges throughout the academic year. Overview: KVS is a selective, independent British International School. Established in September 2008, it is situated about 20 minutes from central Cairo. The school is well known for its family environment, which is strengthened by the student body, dedicated teachers and supportive parents. The aim of the school is to develop a love of learning and a sense of personal and community responsibilities in each child. The school is fast gaining a reputation for offering a high standard of teaching and securing very good academic results. Graduate students have gone on to study at top universities. Dates for Open Days and submitting applications: KVS welcomes parents anytime during working days for a tour, Sunday to Thursday, from 9 am to 1 pm. What an assessment test includes: Parents interview conducted by the Principal, English and math oral and written assessments based on standardized age-appropriate tests. Acceptance also depends on availability of places in the relevant year group. 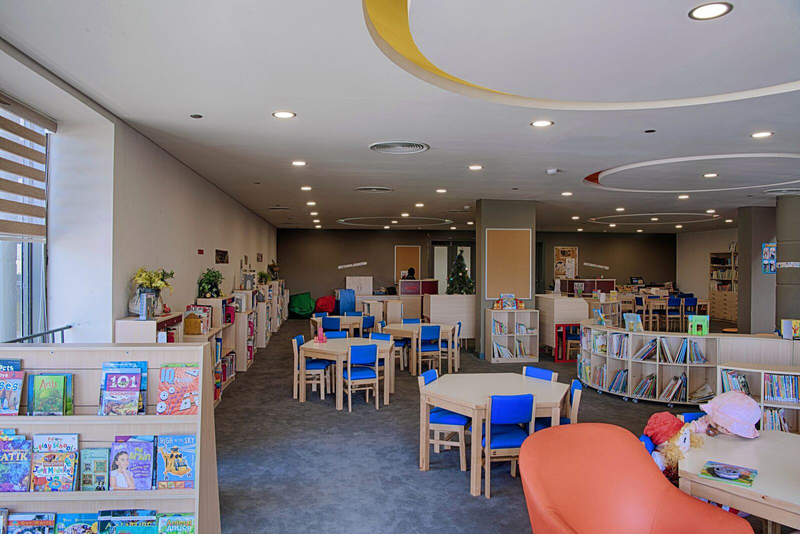 School sections: Foundation Stage offers children ages 2.5 to 5.5 an outstanding environment, providing a child-centered, play-based curriculum. Primary students follow the National Curriculum for England which provides skills needed for successful life-long learning Secondary Education provides a broad education that prepares students for IGCSE, AS and A level examinations. Languages: KVS students graduate with three languages. English as the main language, German or French start at KG1, and the third language starts in Year 7. Accreditation and examinations: KVS is registered as an Examination Center for IGCSE offered by Cambridge, Oxford, and EdexcEL Examination Boards. The school is a member of PASCH program (an initiative program of the Federal Republic of Germany). KVS students sit for FIT Examinations in German, and DELF Examinations in French. KVS works closely with the British Council, the Goethe Institute, the French Centre, and the Egyptian Ministry of Education for curricula and books. Facilities and staff trained for dealing with special-needs children: The school identifies students with learning difficulties and supports them through remedial classes led by experienced teachers. Facilities and extracurricular activities: KVS students have access to a broad range of activities that are designed to complete the school curriculum and to shape students’ personalities and leadership qualities. Extracurricular activities include: Character-building program, academic competitions (Science Fair from KG2, Spelling Bee, Knowledge Competition), field trips, camps, music, art and sports. Overview: Lycée Albert Camus NEWGIZA (LAC) is a world-class French international school that follows the internationally renowned French program of education (under the auspices of the French Ministry of Education). LAC applies this reputable program whilst concurrently adhering to the guidelines set out by the Egyptian Ministry of Education for international schools operating in Egypt. LAC hosts students from all nationalities starting from Pre-K to Grade 12 (petite section à la terminale). The school program also focuses on preparing the students for French Baccalaureate, which is an international degree recognized by all universities worldwide. LAC is managed by a highly qualified and experienced French leadership and academic team. Dates for Open Days and submitting applications: February 13th, 2019 March 20th, 2019 April 17th, 2019. What an assessment test includes: Assessments include an interview with parents, a written and oral assessment for Grade level students. Maternelle students are assessed through careful observation, their ability to listen and carry out instructions, concentration span, as well as social and communication skills. School sections: Main Stream: Maternelle, Primaire, Collège and Lycée. Students coming from non-French school systems “French passerelle”: from Grade 2 up to Grade 7. Languages: Students graduate knowing: French, Arabic, English and Spanish. Accreditation and examinations: LAC was accredited by the French Ministry of Education in June of 2018, and the affiliation with the AEFE was signed in October 2018. Students are prepped for the official French Ministry examinations; le brevet des collèges in Grade 9 and the French baccalauréat (scientific section or business section) in Grade 12. Additionally, the school abides by all the Egyptian Ministry of Education regulations and adopts the Arabic, religious and social studies national curriculums as well as a special program of Arabic for non-Arabic speakers. Staff trained for dealing with special-needs children: The school aims at continuously hiring highly experienced teachers from the French Ministry of Education in order to provide all the support required for all the students. Facilities and extracurricular activities: The school building is a state-of-the-art modern purpose-built facility following both local and international standards for educational buildings. LAC offers its students international trips (France, Spain, Greece) as well as national ones. In addition, there is a wide range of extracurricular activities that includes: arts and crafts, music, sports, board games, drama and more. Overview: With today’s changing advances, children need SKILLS. Suad Kafafi International Language Learning School (SKILLS) was founded by the late Prof. Dr. Suad Kafafi, a visionary, prominent scholar and the founder of Misr University for Science & Technology. Dates for Open Days and submitting applications: Admission is now open online, to learn more about upcoming open days please check the website. What an assessment test includes: Assessments cover the requirements a student should have before enrolling in any of our programs. The assessments focus on motor skills prior educational attainment. Different assessment tools are used depending on the level and grade of the applicant. SKILLS has a strong belief that an assessment is designed to outline the different levels of capability a student could demonstrate, and not to hinder their educational progress. School sections: The educational institution is divided into two different schools. The International school is divided into the British School, and the American School. The National School is divided into the National English, and the Deutsche Abteilung. Each school has its independent facility, fully equipped with amenities, student activities, and curriculum. SKILLS school is an affiliate of Misr University for Science & Technology and MUST Opera House. Languages: The main languages of focus at SKILLS vary depending on the school the students apply for such as: Arabic, English, German and French. Accreditation and examinations: Ministry of Education (MOE) Cambridge Assessment International Education (CAIE) Pearson (Edexcel) accreditation body Partner Schools Global Network Affiliated with the British Council North Central Association and School Improvement (NCA CASI) Advance-ED Staff qualifications: The school staff body consists of highly certified and qualified educators. Several members of the teaching staff hold Master’s Degrees from prestigious colleges and universities locally and internationally, alongside attending several training courses in different fields of education. School facilities: The school takes pride in its facilities and its modern structures. SKILLS state-of-the-art science labs alongside several computer labs equipped with the latest hardware and software. In addition to a photography studio, a woodworking workshop, and a ballet room, the school has very well resourced libraries, as well as a volleyball/ basketball court, a football pitch and a very well equipped gym. Extracurricular activities: SKILLS offers a wide range of extra-curricular activities like ballet, cooking, performing arts, Zumba, wood-working, movie-making, photography, marionette-making, recycling projects and a lot more. Dates for Open Days and submitting applications: Applications are received during school hours. What an assessment includes: Literacy and numeracy are at the forefront of everyday learning. The assessment process examines these skills as well as the student’s ability to be a critical thinker. School sections: Kindergarten, Elementary, Intermediate School and Secondary school. Languages: In the English Program the core subjects are taught in English. Students also study French and Arabic. In the French Immersion Program, the core subjects are taught in French. Students also study English and Arabic. Accreditation: CISE is a registered school with the Ontario Ministry of Education and the Ministry of Education in Egypt. The school is inspected annually to ensure it meets Ontario Ministry requirements. Facilities and extracurricular activities: CISE offers a generously sized campus with ample outside areas for students to play and grow. There is a swimming pool, large soccer fields and a multi-purpose room for physical activity. Art, music and physical education are part of the program as well as DELF instruction. Overview: Heritage International School is a Canadian school that opened in 2006. The school implements the Manitoba curriculum and provides a Manitoba High School Diploma, which allows it broad latitude in the design and implementation of its Manitoba curriculum at all levels of the school, from Junior Kindergarten to Grade 12. However, being on Egyptian soil, Heritage also maintains the high ideals of Egyptian education and social values. No SAT1/SAT2 is required from Canadian graduates in Egypt. Students who are graduating from Heritage, and have not written the SAT1 and SAT2 exams can now apply to private universities in Egypt. The Canadian High School Diploma is highly recognized worldwide as one of the top respected Diplomas. Dates for Open Days and submitting applications: Orientation days are every Monday and Wednesday at 10:00 am. Applications are currently being accepted. What an assessment test includes: Assessments are based on grade groups, and include English and Mathematics tests. An interview with the school’s principal/director is a must to complete the application process. School sections: Heritage only offers a Canadian education. Languages: English, French, and Arabic Accreditation and examinations: Manitoba Provincial Exams in Grade 12. Heritage is accredited from Manitoba Education, Citizenship and Youth Department in Canada. The school is also accredited from the Egyptian Ministry of Education in Egypt. Facilities and extracurricular activities: Heritage International School facilities are undergoing continuous development. The main building comprises the Kindergarten to grade 12 classes. Indoor facilities include an indoor multipurpose room, a large two-story library, an indoor gym, an indoor cafeteria, and science, physics, biology, chemistry, and industrial labs, two computer labs, language labs, and an indoor theatre that is currently under construction. Outdoor facilities include a large multipurpose court, football fields and landscaped open court areas. Extracurricular activities include Heritage Hunters soccer teams, a basketball team, Heritage Band, internal and external field trips, and various types of after-school activities. 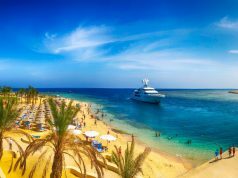 Overview: MCE is the first British international school in Egypt to be working in partnership with a leading British independent school. 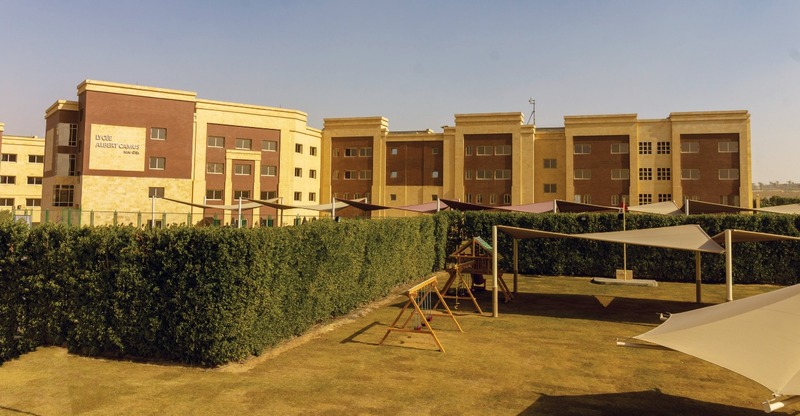 Setup in September 2016, Malvern College Egypt caters, currently, from Nursery to Year 11, and will continue to grow into a full Secondary School year on year. MCE offers the International General Certificate of Secondary Education (IGCSE) and internationally recognized pre-university qualifications including ‘A levels’. The College also submitted a successful application to the International Baccalaureate Organization in order to become a candidate school with the intention of offering the IB Diploma Program to students from August 2019. Dates for Open Days and submitting applications: Open Days run during February and March and are posted on the website. Guided tours are also given upon request. What an assessment test includes: Early Years assessments run in a classroom setting. Years 1 to 3 assessments entail written English and Math. Years 4 to Secondary assessments are comprised of CAT4 (computer based) assessment, as well as a written English test. School sections: The year 2019/2020 will see MCE have pre-nursery through to year 12. Languages: English, with all pupils participating in Arabic and French through to at least year 8. Accreditation and examinations: Fully accredited by Cambridge Assessment, Pearson Edexcel, Oxford AQA and Malvern College UK. Candidate school for the IBDP and seeking full accreditation through COBIS. Facilities and staff trained for dealing with special-needs children: Learning Support Department caters for students who need further academic support and EAL support is given to students for whom English is not their first language. Facilities and extracurricular activities: MCE has over 100 classrooms, a three-story library and media center, science laboratories, music studios, computer laboratories, a 450-seat theatre, a dance studio, a clinic, food technology, a restaurant, play grounds and swimming pools. Co-Curricular Activities (CCAs) include: languages, Music, Arts, physical activities such as football, Judo, Body Balance or swimming, computing and much more. 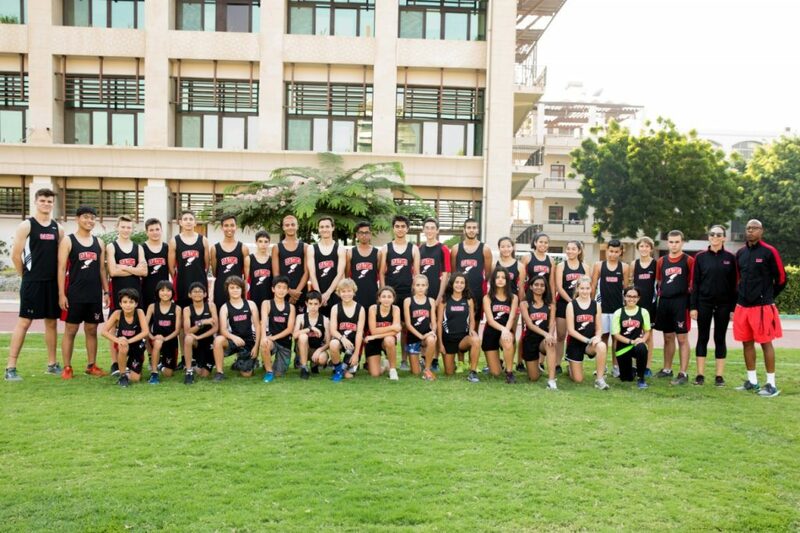 Overview: The British International School, Cairo (BISC) is a selective, co-educational, academic day school with approximately 1,100 students aged 3 to 18 and is committed to excellence in all its activities in and out of the classroom. The School’s mission is to be a vibrant international community, offering an outstanding British-style education, focused on independent learning and the promotion of global citizenship. Dates for Open Days and submitting applications: BISC holds an Open Morning each term where parents can meet the Principal, Heads of Schools and tour the school. March date to be announced. What an assessment test includes: The academic entrance examination is in English, Mathematics and Non-Verbal Reasoning and is taken using a computer. There are no revision or topic areas that need to be studied prior to taking the test. School sections: Foundation Stage – Age 3-5 Junior School – Age 5-11 Senior School – Age 11-16 Sixth Form – Age 16-18 Languages: All lessons are conducted in English. Language subjects such as French, German, Spanish and Arabic are taught in their respective language. Accreditation and examinations: GCSE/IGCSE examinations are taken, in Year 11 set by AQA, Edexcel and Cambridge examination boards. In the Sixth Form, students study the International Baccalaureate Diploma. 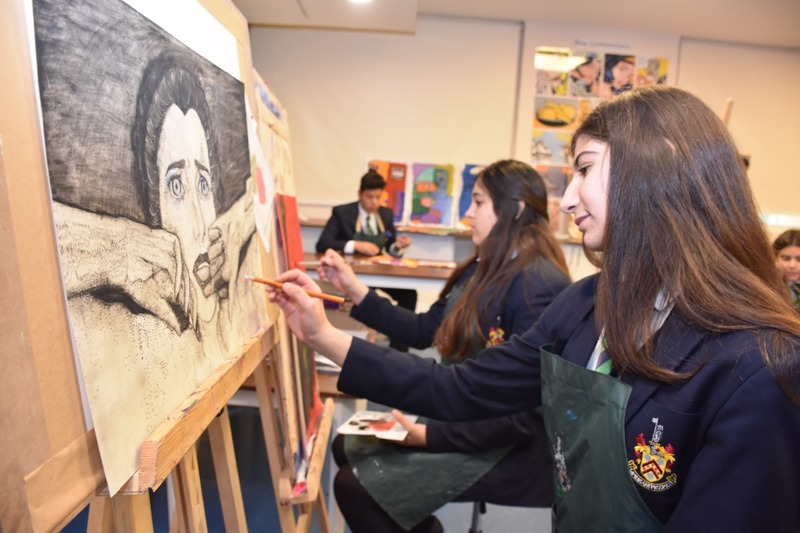 Facilities and extracurricular activities: There are excellent facilities for art, drama, music and sports, and support a broad range of academic activities, clubs and societies, plus a range of events, trips and conferences both locally and international. Overview: CAC has a long-standing history of offering an exceptional American education experience in Egypt. CAC emphasizes holistic learning and supports students as they discover their skills and passions. Students participate in a diverse array of courses and co-curricular activities including athletics, student clubs, and visual and performing arts. With 75% of teachers holding international teaching credentials, CAC provides a truly international academic experience in Cairo. Dates for Open Days and submitting applications: Applications are accepted as of February. Applications received after June will be notified of admission after August 1st – depending on availability. Open house is held in January. What an assessment test includes: CAC often administers tests to applicants at all grade levels, to facilitate decisions regarding admission and placement. 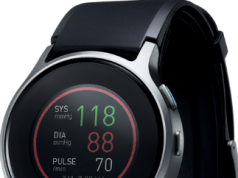 All application requirements must be received before a testing appointment can be made. Languages: School instruction is in English. World languages include Arabic, French, and Spanish. Accreditation and examinations: CAC is fully accredited by the MSA, and the CIS and the IB Program. CAC is the only US State Department sponsored school in Cairo. Facilities and extracurricular activities: The Summer Program takes place from mid-June until July. Facilities include an 11-acre campus with 3 outdoor fields, a heated swimming pool, a 52- seat theatre and a multipurpose volleyball/basketball court. Overview: MBIS is a dynamic, learning-focused school, offering families a unique experience in Cairo with British, child-centered, and caring teaching professionals. Dates for Open Days and submitting applications: Applications are accepted throughout the year, with individual tours. What an assessment test includes: Entrance assessments are age-appropriate, personalized and are positive experiences for children, designed to understand each child’s needs. 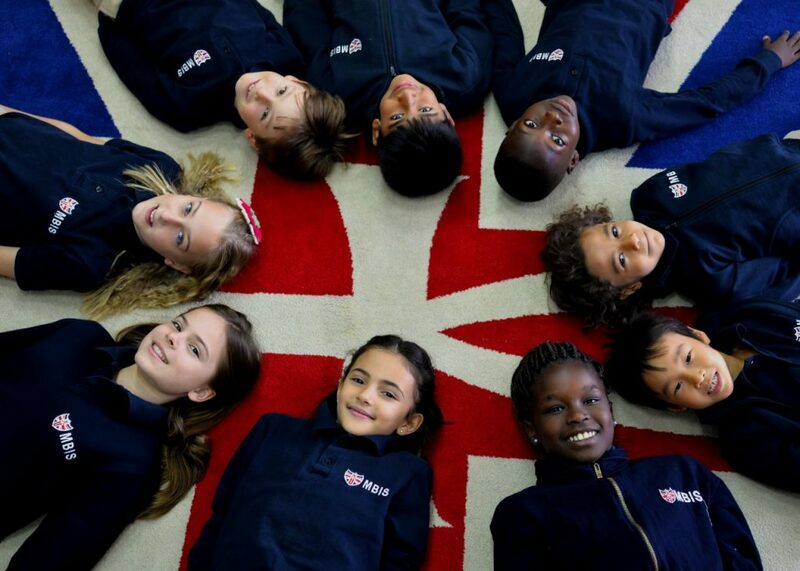 School sections: In the model of a British preparatory school, MBIS offers the English National Curriculum to Lower School (Pre-Nursery to Year 2); Middle School (Year 3 to Year 5) and Upper School (Year 6 to Year 8, with a Year 9 in 2019-20). Languages: MBIS offers children French, Spanish and Arabic. Additional English is also provided to children who need support. Accreditations and examinations: The school enjoys the patronage of the British Embassy and is accredited by the Council of British International Schools (COBIS), the Independent Association of Preparatory Schools (IAPS) and the Association of British Schools Overseas (AoBSO). Facilities: The spacious campus offers light, airy classrooms, supported by modern technology. An indoor heated pool; astro-turf and excellent play facilities; specialist rooms for art, design, cookery, science, drama and music; two computing suites; and a large auditorium are also available. Staff trained for dealing with special needs children: The values-driven ethos ensures all children are helped to reach their full potential. A trained British teacher leading SEND provision, supported by a skilled Learning Support Team are offered. All abilities flourish at MBIS. Extracurricular activities: MBIS offers a wide range of exciting, extended learning opportunities, including pottery, jewelry making, roller-skating, Brownies & Guides, kick-boxing, judo, dance, swimming, computing and much more. Inter-school competitions, day trips and international residential experience also promote personal and social development. 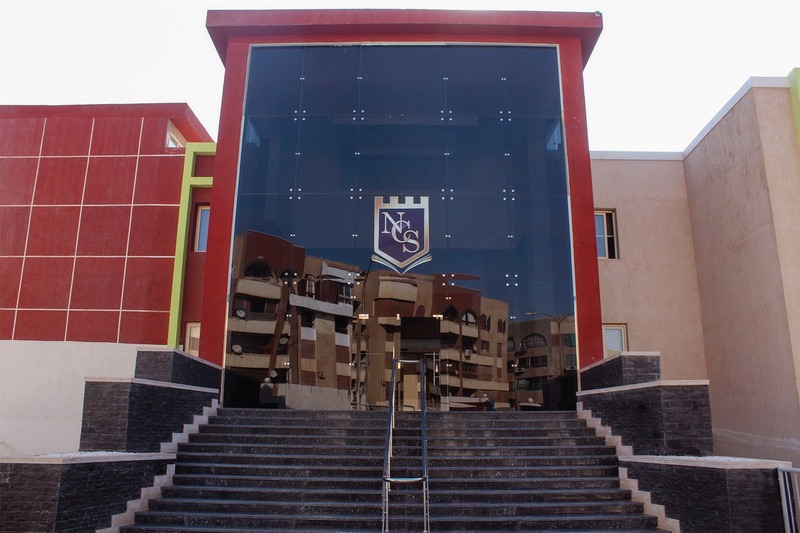 Overview: NCS is located in 6th October City, Al Bashayer District and has a holistic approach to education, focusing on the mind, body and spirit of students. Students will be equipped to assume positions of leadership with an understanding of technology and its impact on the global community, and how to cooperate in a diverse multicultural community. What an assessment test includes: Math and English. School sections: NCS is a KG to Grade 12 American-curriculum school. Languages: English is the language of instruction. Accreditation and examinations: NCS follows the American system of education with Common Core Standards, leading toward an American high school diploma. Facilities and extracurricular activities: The campus consists of three floors, outdoor athletic fields, a swimming pool and an indoor cafeteria. It also includes an indoor auditorium with a capacity of 500 seats, music and art rooms, science and computer labs, a library and a clinic. Activities range from Model United Nations, art, theatre, dance, and music to community service and team sports. Next article5 Ways to Give Back to Your Community! 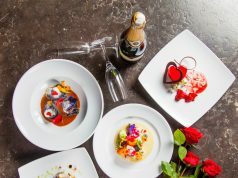 16 Venues to Celebrate Valentine’s in Style!